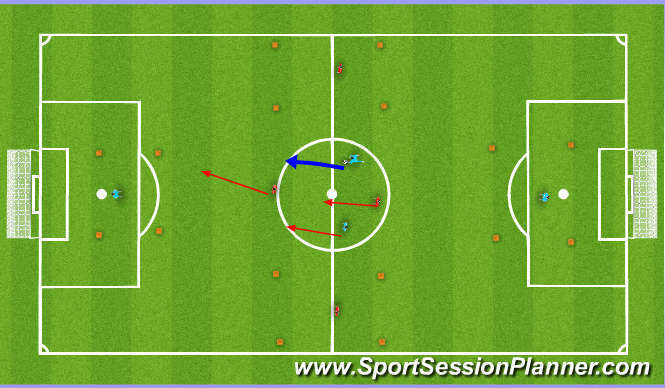 • Practice starts with: 4 players in centre circle pass randomly. to defend against the counter (1v2). behind ball (to make 2v2). front of box or run ball into box. target players located in boxes to conclude practice. position & changing point of attack from circle. • D presses ball, deflecting play away from supporting A.
feet as appropriate, shoulders forward. • Staying inside line of ball & goal. - A’s have to score within a time frame (e.g. 6 seconds). whilst recovering D makes ground.